When the snows start to melt and the mercury rises, I get that excited, jittery feeling – and it’s not just from the added vitamin D. Spring represents new beginnings, new buds and blooms, and the best part… the start of hiking season! So start planning with these seven essentials for happy Spring trails. 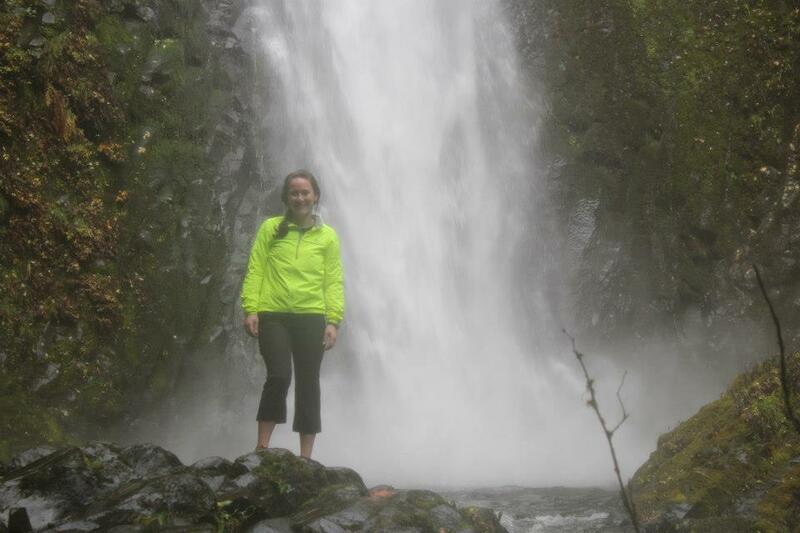 You never know – especially in the Pacific northwest – when it might rain and hiking sopping wet is not nearly as fun (and let me tell you, I know!). Most raincoats are light weight and easy to just crumple up into a ball in your bag, so make sure to start every trail off right by checking this item off your packing list. I recommend Marmot or Columbia Sportswear, both of which offer light breathable options with sealed-seams and hood. Don’t end your season before it begins. I’ve been battling a strained knee for the past two-months and believe me, it is not fun. Stretch out those under used extremities and lead up to your first hike with some light walking, squats and side leg-lifts. For more exercises check out this killer 45-minute leg workout by Bob Doucette on Proactive Outside and this stretching guide on Seattle Backpackers. It’s easy to just jump right in the car when you wake up on a sunny Saturday and head out into the wilderness for a day of hiking. However, now matter the temperature you should still take a few minutes before you leave the house to make a plan, find a detailed map and trail log, and to tell one of your friends or family where you are going. Better safe than sorry! Find a few hikes now or start dog-earing your guide book to save time and make that spontaneous hike a reality. 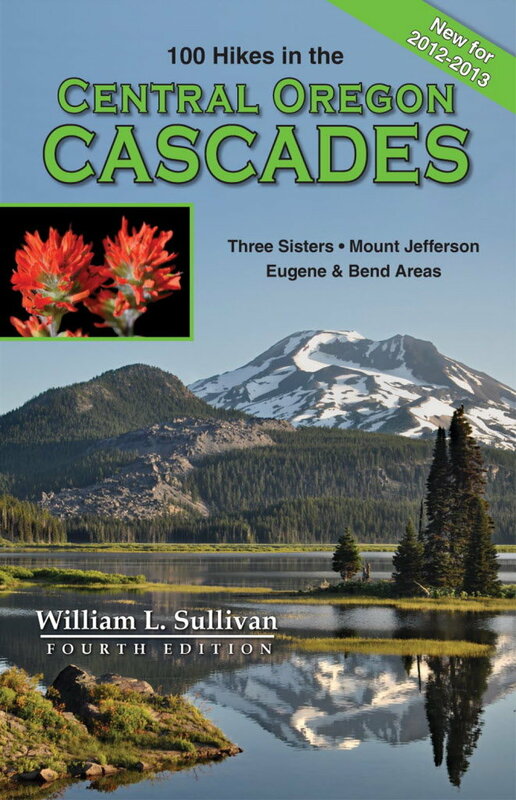 William Sullivan’s northwest hiking guides are a few of my favorites! While these items should be with you on the trail during any season, they are extra important in Spring and Fall when the weather can still change dramatically. If you have a nice car with clean floorboards, this tip is even more important. After a long, soggy hike your boots are likely muddy and wet. Wrap all of your grimy clothing in garbage bag and slip on something warm and dry for the ride home. Just remember when you get home to grab that bag and lay all the wet items out to dry. Nobody wants moldy shoes and socks! As the saying goes, “April showers bring May flowers.” Spring is an amazing time to get out on the trail for some wildflower walks. 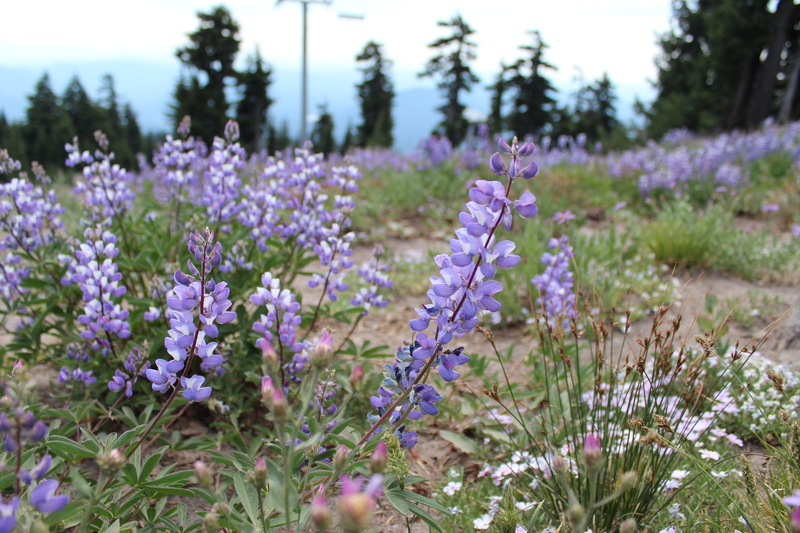 Spot lupine, Indian paintbrush and western trillium around Oregon and with a wildflower identification book you can find all of these and many more! Here are five hikes to enjoy the new blooms around Washington and Oregon. Even though the lower roads may be clear, the conditions up in the mountains can be very different. Snow can last well into summer, leaving trail access roads slick and treacherous. Make sure to check the road conditions before departing and check the weather – especially if you’re planning multiple days in the back-country. Also have adequate food, water and clothing for any weather or vehicle surprises. Heavy rains can cause mud slides that cover the road and trail, so you want to be prepared for unexpected delays. Otherwise, dust off your hiking shoes and get out there! What hike do you love doing every spring?